Are You Your Body’s Worst Enemy? Have you ever been hit with a smack-in-your-face reality check and wonder why it took you so long to figure this out? The kind that makes you wonder how you could be so stupid…how could you have let it happen when you clearly know better? A couple of weeks ago, I was feeling terrific. I was emerging more & more from the shell of safety I’d built around myself during the big move. My thoughts were much more clear than they had been since the car accident, and though my belly was giving me occasional grief, my body was reacquainting me with the strength and resilience I thought I’d lost to the downhill slide of middle age. I took a little trip home to Montreal to visit friends and such. At an acupressure session, I was reawakened to the deep healing you get from going for tune-up support rather than damage control. I walked out feeling like a million bucks! That night, I went out for the first in a series of overly permissive meals, all in the name of my birthday. I proceeded to indulge, at one point or other over the next 2 days, in ALL the things I usually avoid out of concern for my health… at times, all at once. I mean, come on, this was a time to be celebrating, a time to let myself go and enjoy. Little wonder that I felt like crap warmed over on the train home, sipping lemon water and swearing to eat nothing but vegetables and broth for the next week. 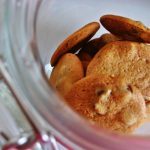 The fact is, this had nothing to do with the dairy or the gluten or the chocolate or the sugar or the alcohol – they were incidental to this story. The worst offender in all of it was myself. Yes, there are certain foods and habits that you are best to avoid. 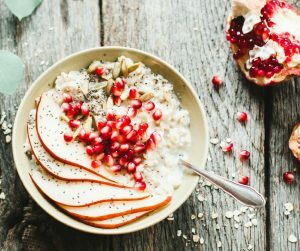 If you’re trying to fit back into your favourite dress, if your arthritis prevents you from opening the pickle jar, if your gassy gut makes it too embarrassing to go out, there are definitely foods you know to stay away from, there are habits that help you feel better, that prevent things from getting worse. It’s so easy on those days that you feel bad to stick to the tried & true routine. Once you start to feel good again, your resolve slips. The better you feel, the more exceptions you allow. If you’re listening closely to your body, you will be aware of the subtle whispers when she hints that it’s time to ease up and be “good” again. Then there are the times when you feel great, when you’re so high on yourself, you feel invincible, and you somehow believe that nothing could harm you. These are the days you understand what you want your new normal to be. This is how you dream of feeling every day. Integrate that sensation when it comes; sit with it, get to know the edges of this newly expanded container around you, seek its wisdom. Settle into it. If you don’t you’re liable to crash as I did. The Hendricks’ call this the Upper Limits Problem – when you get to a state of more positive energy than you’re used to, and you (subconsciously) find a way to knock yourself back down a few pegs. Is there a fine line, though, where the knocking down isn’t quite so subconscious, when celebrating becomes damage? This may be harsh to say, but that’s what I call abusive. What I did to myself the other day – ignoring the pleas from my inner knowing and ingesting things I ought not, and in large quantities; hurting my system more because it was extra sensitive, then back-tracking with promises to do better next time. Sounds like abuse to me. The Bach Flower Essence for abuse/self-abuse is Vine. Think of the plant itself: perfect tool for self-flagellation. Even after you do the thing that hurts you, that was so stupid, you continue to beat yourself up about it for days and weeks to come. A vine is the perfect plant for tying yourself up in a knot. Then it hardens, so that you end up being fully bound in old growth. Thinking about vines reminds me of the princess in the tower, locked there by a nasty old witch, the character we’ve come to associate with evil personified. 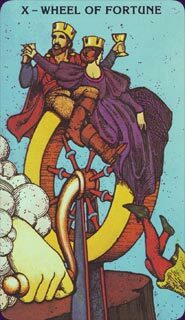 Could it be that witch is the part of you that keeps you locked inside the perceived limitations of your issues? The witch is selfish in the way that she prevents the princess from sharing her beauty with the rest of the kingdom. In squandering your good feelings, in hoarding this better version of you by keeping her hidden or small, you deprive others of the opportunity to love you. You deprive yourself of an opportunity to love you. The witch cares for the princess so much that she hides her away out of fear for her innocence, not wanting her to get hurt. 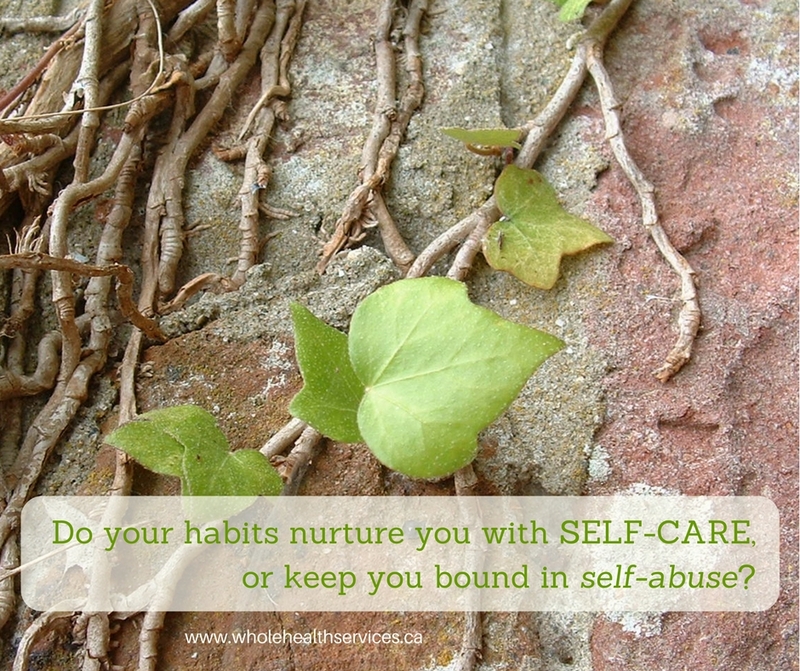 Are you caring for yourself when you don’t give yourself the chance to heal, or is that a form of cruelty? It’s true: the more open you are, the more you stand up for what you value, the more vulnerable you are to ridicule and attack from the world around you. Yet, the more open you are, the more space you have to grow and blossom into that million dollar version you usually only glimpse. As much as some of your back-sliding may be subconscious, there are times when perhaps you’re more aware than you’re willing to admit. There are times when you ignore your better judgment, your inner voice and the advice of your health-care practitioner in favour of the momentary freedom of not having to care. There are times when your fears of stepping out of the familiar shell that is your life and state of health keep you bound in inertia. The good news is that making mistakes is all a part of learning. Deliberate or not, every time I overstretch the current limits of my body, I’m brought back to a place where I can regroup with compassion, and find a new route by which I can find my way out of the familiar in comfort. 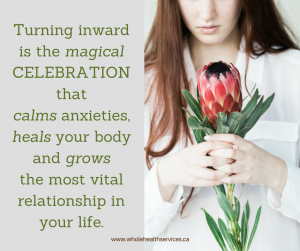 Do you abuse your body with misplaced care? When you share your thoughts and experiences in the comments, you open the possibilities for others. * Note: none of the food items I mention in this anecdote are bad for you in and of themselves. They represent the worst culprits in this particular phase of my healing journey. We’ll talk more about permission and concepts such as 80/20 in an upcoming post.